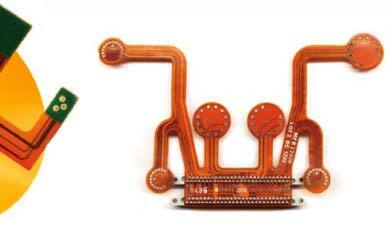 Flexible circuits are designed to bend, fold, flex and wrap in extremely tight areas. So they’re a smart choice when you’re faced with packaging issues, but still required to provide high functionality. 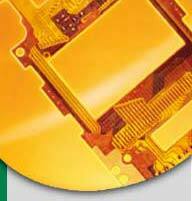 Flexible circuits allow for unique designs that resolve interconnection problems or continuous dynamic applications. At the same time, they enable you to reduce packaging size and overall material costs. and support to provide you with original design, prototypes, and even high volume production parts. All of these types of flexible circuits can be provided with laser drilling and routing, soft and hard steel die punching, and various types of plating applications. 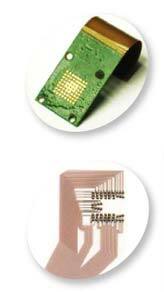 What’s more, Cir-Q-Tek can meet your requirements for UL, ISO9001, ISO14000, andQS9000, as well as the latest RoHS spec. 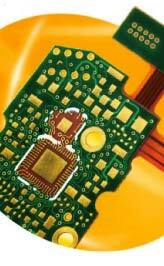 Talk to Cir-Q-Tek about your flexible circuit needs. We’ll review and critique your designs, and identify the most cost-effective way to produce your flexible circuits. Our goal is to simplify manufacturing, thereby driving down the unit cost and allowing your company to be more competitive. So before you place your next order, allow Cir-Q-Tek to review and quote your specific flexible circuit request.